Every time I have written about gun violence and mass shootings, one reader or another (you know who you are) will charge me with being a bleeding heart liberal. So, let’s take the emotion out of the equation. After all, we’ve been through this scenario multiple times. The horror has become part of our national brand. Let’s look at some numbers. 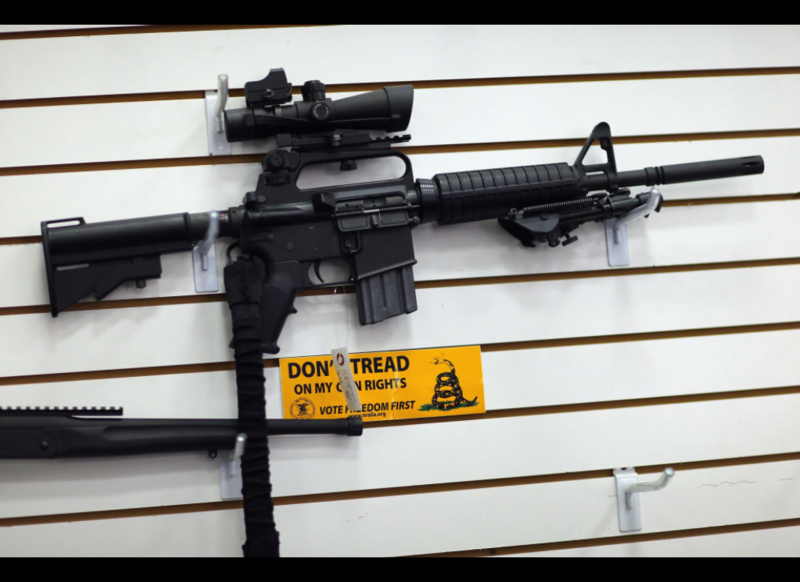 A mentally ill 19-year old was too young to buy a beer or a handun but legally allowed to purchase an AR-15 assault rifle. His out-of-control actions as a high-school student spurred up to 39 calls to local police about his disruptive and threatening behavior. He had posted multiple messages on social media that he owned a gun and wanted to carry out a school shooting. (The FBI today admitted it had failed to follow protocols having been tipped off to this information.) The killer accomplished his goal this week, discharging some 150 bullets into children and teachers at Marjory Stoneman Douglas High School in Parkland, Florida. He left 17 dead and 15 wounded, some with life-threatening injuries. Hundreds of students fled into nearby streets, afraid for their lives, possibly traumatized forever. In December, 2012 a Newtown, CT elementary school shooting left 26 dead, 20 chidren and 6 teachers. After the Sandy Hook slaughter, despite innumerable calls for limiting the ready availability of guns, especially assault weapons, the U. S. Congress did nothing. It wouldn’t even bar terrorists on the no-fly list from buying weapons. Since then, there have been 239 school shootings, with 438 persons shot, and 138 killed. For a breakdown on all these events, check out the non-profit Gun Violence Archive. There are 55 million elementary and secondary school children who deserve a safe school environment. And we can’t guarantee it, thanks to the gun lobby and the cowardice of the Senators and Representatives whom it has bought. The President, whose own son is school-aged and presumably vulnerable, gave a saccharine “thoughts-and-prayers” speech and decried the lack of attention to mental illness. He obviously did not acknowledge that his own budget cuts funding for mental illness. Nor did he mention gun control or the lax laws that weaponize that mental illness. The advocates are calling for stricter regulation. And, before long, it will all blow over….until the next time. Mind you, these are only the school shootings. This doesn’t include the atrocities committed at concerts, houses of worship, retail establishments and other public spaces. The Washington Post has compiled another list. Another set of numbers. The National Rifle Association gave about a million dollars to candidates in the 2016 election cycle. Ninety-nine percent went to Republicans. (Notice the silence of Florida Senator Marco Rubio, bought and paid for by gun rights groups.) The NRA also spends more than $3 million a year in lobbying. Draw your own conclusion. There is a sad predictability to all this, as captured by Nestor Ramos in today’s Boston Globe. The only things we don’t know about the next shooting, as he points out, are who? where? and how many? So where do we go from here? In listening to interviews with some of the youngsters who survived the Stoneman Douglas shooting, I was struck by how reasonable they are and how disgusted they are with the refusal of elected officials to act. So here’s another number: there are 24 million young people – aged 18 to 29 years- who are eligible to vote. Only half of them voted in the last national election. One can only hope more will be energized by the craven neglect of elected officials to pass reasonable gun safety laws and get involved in the electoral process. I was surprised to learn that the Murdoch-owned New York Post, a Trump supporter, said on its front page today “we need sensible gun control to help stop the slaughter.” It urged the President, like Nixon going to China, to take the lead in restoring the federal assault weapon ban, raising the age to buy firearms, banning bump stocks and killing the proposed concealed carry reciprocity act. Trump doesn’t consider the Post fake news, but will he listen? This entry was posted in Politics, Uncategorized and tagged banning bump stocks, concealed carry proposal, CT mass shooting, Marco Rubio silence, Margery Stoneman Douglas High School, National Rifle Association lobbying expenditure, Nestor Ramos, New York Post call on guns, Newton, NRA campaign donations, Parkland Fl school shooting, President's thoughts and prayers speech, Sandy Hook slaughter. Bookmark the permalink. The challenge is to channel our sadness and rage into some strategy for change. What happens in the voting booth has to play a key role.